Don’t play catch-up in the field. Switch to paperless reporting today! In an industrial world that is ever-changing, one thing is certain- companies are looking for ways to make practices more sustainable and manageable. New developments in tech provide numerous ways for businesses to do just that, particularly when it comes to completing, organizing and approving paperwork. However, it can be hard for companies to know where to start when looking to transition to paperless alternatives. If you’re familiar with the field service industry you know that it is synonymous with paperwork. Previously, data management and reporting in the field were limited to working with stacks and stacks of paper. With a vast ocean of information, it became a necessity to organize your documents. While it might sound scary at first, there are countless benefits to going paperless and TruQC aims to make it simple with our inspection iPad and Web App. One of our main priorities here at TruQC is speed and efficiency. We want to make sure that you’re able to quickly find the exact data that you need. Companies lose valuable time rifling through filing cabinets and folders. Whether you’re searching for paperwork for an upcoming audit or which employees have up-to-date certifications for a new job, you need fast access to organized data. Going paperless on the job-site means that after a brief series of clicks you can find exactly what you are looking for within minutes. This results in your information being more reliable and accurate. While it seems obvious, the future of going paperless in the field service industry saves you space. Whether it be in your car, office, or home- say goodbye to the stacks of paper that take up physical room. Typically, this has also been long associated with a monetary cost. It isn’t cheap to find a place to store all of your records, and to then make sure it is safe and secure. On top of that, you must hope that the elements are in your favor. Otherwise, a strong gust of wind, storm, or fire could destroy your important documents. TruQC lets you keep all of your paperwork on one integrated and secure mobile platform. Teamwork makes the dream work, right? We’re firm believers in that over here at TruQC. Collaboration is a must when you are out in the field. Going paperless allows for an easier collaboration between people in the field, those in the home office and clients. People can be separated by time and space, but their work doesn’t get affected due to waiting periods on documents and reports. Papers don’t get lost, documents don’t change, and everyone can see in real time what is happening out in the field. Some people are reluctant to move towards going paperless, for fear of data loss. If you move towards going paperless, you’ll see your employees in the field becoming more efficient with their work. Their reports will be completed faster, rework is reduced, the finished report will look more professional, and your clients will be happier. TruQC’s configurable toggles, multi-selects, pickers and dynamic fields help prevent human error and ensure your reports have everything you need. 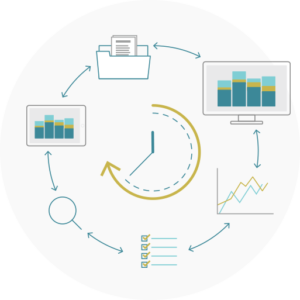 In the end, you save time and resources, all while improving your processes, workflow and the data you collect. Time is money in today’s world. 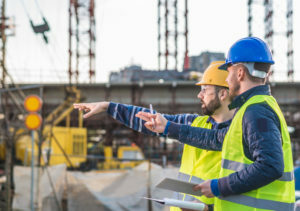 In an industry that frequently has inspections, spending days or even weeks creating reports can make it difficult to juggle multiple projects. Mailing forms, weeding through reports and communication back and forth is a headache. By going paperless with TruQC, your company can now complete more jobs in less time, increasing your profits. Inspectors don’t have to spend valuable time compiling field data into reports at the home office, because TruQC reports are completed the moment you’re done filling them out.PDF reports are generated immediately and can also be viewed in real time by reviewers at the home office, further cutting down on the time you spend on paperwork. The future of going paperless in the field service industry is one that you’ve all been waiting for. It’s cheaper, in the long run. After the initial cost incurred from purchasing iPads, you will begin to see the long-term benefits and ROI. Efficiency savings can be measured per employee, job, or annually. It saves money both out in the field, and back at the office with the staff that was previously handling the paperwork. Don’t be the last ones playing catch up out there in the field. Going paperless can save you time, money, and stress. You’ll find your processes improved, easily organized, and accessible for you and your team. The future is here and it’s paperless. To learn how TruQC can help your company standardize and digitize your reporting process, request a free consultation today.